Emergency treatment in patients with coronary artery disease is very important to prevent death, especially 12 hours after the attack. This was explained by a physician specializing in the blood vessels and heart of the Siloam Hospital Group, Dr. M. Barri Fahmi, SpJP. 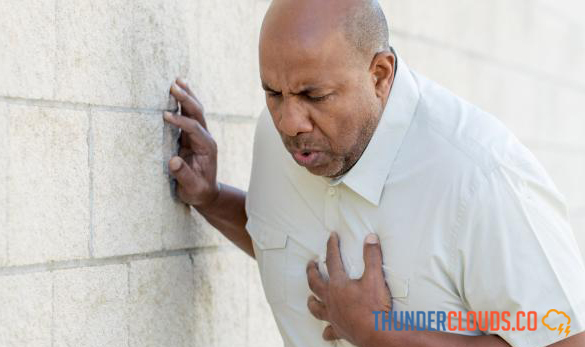 Heart attack is caused by a sudden loss of blood flow into the heart's veins, also called coronary arteries, as they occur suddenly and cause serious damage to the heart muscle. "Immediate action is then needed to open obstructions in the coronary arteries, which are called primary percutaneous coronary interventions or PPCIs," he said. According to Barri, the PPCI is a minimally invasive procedure that must be performed immediately within 12 hours of the onset of a heart attack. This action is performed in the catheterization room by a consultant cardiologist and supported by a team of experienced nurses. The PPCI uses local anesthesia and is usually done by the blood vessels of the wrist or thigh. The patient is fully aware during the procedure and can communicate with the doctor at any time. Once a blockage is found in the coronary arteries, the doctor will install a stent or ring. "The duration of this action varies from 1 hour to 2 hours, depending on the severity of the blockage found.After the installation of the stent or rings, patients will be treated in the cardiac intensive care unit (ICCU) for Further follow-up: There is no complication or complication, the patient can usually return home within four to five days, "Barri said. Wednesday (12/05/2018), then Diagram Heart Hospital (Siloam Hospital Group) Cinere, Depok. introduces the action of primary percutaneous coronary intervention (CPPI) as an act of opening blockages in the coronary arteries. Dr. Jeffrey Wirianta, SpJp, FIHA as Interventional Cardiologist, said that his party continued to socialize to serve the BPJS services for heart disease, including in the community, sports associations, and seniors' associations. He said, a heart attack can be identified by typical symptoms. According to him, these symptoms have three characteristics, namely, the nature of the pain, such as being squeezed, crushed, or having the impression of being struck by a blunt object. "It's not like being stabbed or cut, and the pain lasted from 15 to 20 minutes," he said in a written statement received in Jakarta on Sunday (12/09/2018), reported by A ntara. Second, the authors included emotional stress or physical fatigue. However, heart attacks often do not show typical symptoms in some people, especially women, the elderly and diabetics. This is due to the presence of diabetic neuropathy which can damage the nerves to regulate the work of the heart. "No wonder the heart attack in diabetics is called a silent attack," he continued. To better identify the occurrence of a heart attack, it is also necessary to have a clear electrocardiographic (ECG) schema, laboratory results such as specific cardiac enzymes, as well as other complementary examinations (echocardiography and / or cardiac catheterization). Factors that may cause heart disease, reported by Health Line (6/12/2018) are age factors. The risk of heart disease increases around age 55 in women and men aged 45 years. And other factors are due to unhealthy lifestyles. Although genetic factors may increase the risk of heart disease, unhealthy lifestyle choices play an important role. 0 Response to "Prevent Death, Heart Patients Must Be Treated Immediately Within 12 Hours"